State-owned life insurer Life Insurance Corporation of India (LIC) holds the reputation of being the largest life insurance company in India. Despite the entry of other firms in the life insurance industry, LIC continues to hold a dominant position in the market. The company has a strong product lineup with different types of policies. Among the different types of policies offered by the company, there are term insurance plans, endowment plans, retirement plans, child plans, whole life plans, etc. When choosing a policy, customers can use the premium calculator available on the company’s website and determine their ideal coverage. The life insurance industry in India is crowded with a large number of players. All the top companies in India have multiple variants of term insurance plans for their customers. Before choosing a policy, customers typically look for the features and benefits available under a specific insurance plan. In addition, the price of the policy is also a major factor taken into consideration. Premium calculators help customers find the cost of a policy without even having to contact the insurer. During the research process, customers can check the cost of multiple policies at the same time and pick the right one that meets their requirements. On the top of the homepage, click on ‘products’ and choose ‘insurance plan’ to find the list of active plans offered by LIC. On the page that lists the available products, you can find the button labelled ‘calculator’ on the left side of the page. Once you click on it, you can open the premium calculator page. On the premium calculator page, enter your basic details like name, age, gender, desired policy, sum assured amount, policy term, smoking habits, etc. 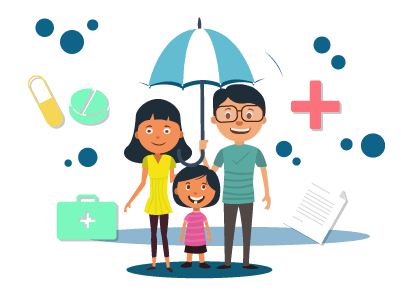 When you enter all these details, you can find out how much you have to spend every year to have the term insurance protection from LIC. If the policy price is satisfactory, you can contact the company directly and apply for coverage. Companies can save a lot of money through the premium calculators available on their websites. Premium calculators remove the middlemen from the process and help save costs spent on commissions. These cost savings are then passed on to customers in the form of reduced price. Customers can save a lot of time and effort with the help of premium calculators. Rather than applying to every single company for a price quote, they can find the price on their own and apply only if they decide to go ahead with the purchase. It also saves them the trouble of contacting an agent when buying a policy. Premium calculators make it easy for customers to compare different products available in the market. By knowing the prices of various products, customers can pick the right product that fits within their annual budget. Companies can reach out to a large customer base with the help of premium calculators. This also helps them collect contact information from interested customers and reach out to them with their promotional offers. LIC has the largest customer base in the life insurance industry. The products offered by the company are flexible in terms of sum assured amount and other coverage options. Except for the online term plan, other term plans can be purchased only by visiting the company’s branch office. Once you have found the price of a policy with the help of the premium calculator, you can reach out to the company and get life insurance coverage.